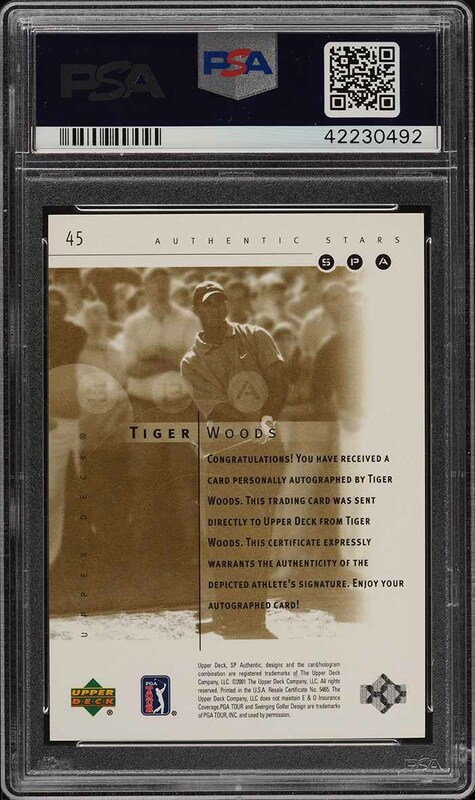 A jaw dropping Tiger Woods rookie card on the market this month. 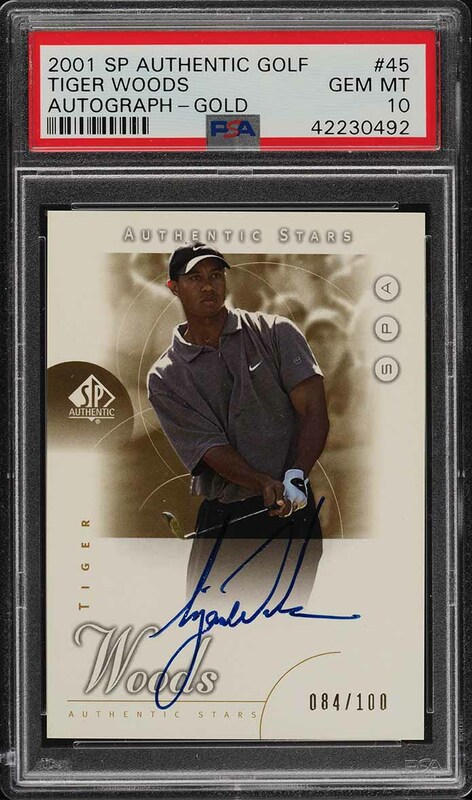 Offered here is the gold variant of Tiger's classic '01 SP Authentic Golf rookie card, in PSA 10. With only sixteen PSA 10 copies in existence, it's quite easy for us to state that the demand for this card far exceeds supply. Tiger Woods is perhaps the most recognized athlete in the world and has a huge international fan base. People just love rooting for this guy! This natural beauty is pack fresh with four untouched corners, crisp edges and undeniable GEM MINT card stock. Dead centered with surfaces void of typical indents or scuffs. The autograph is beautifully penned in blue ink and the production run is limited to 100. All told, this is an extraordinary investment card which is sure to bring a high ROI as Tiger dominates this Golf season. Deserving of serious attention. One of nearly 15,000 cards, lots, and sets up for bid in our 4th Auction of 2019. Click on the link above to view the other PWCC auction lots. The PWCC Vault is now live! Open a PWCC Vault account and receive a custom Vault shipping address. Purchases shipped to the Vault receive free shipping and reflect Oregon's 0% sales tax rate.